If you are suffering from a skipping chain, jumping occasionally as it runs over the rear cassette, then you may assume that the chain is stretched or the cassette is worn (or both). 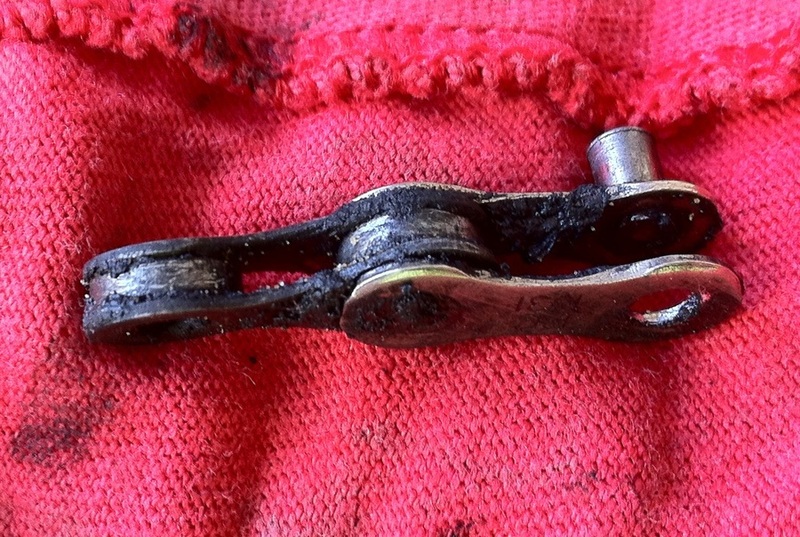 Before you rush out and replace your entire drivetrain, however, check that the chain is running straight. Back-pedal it slowly and watch as it feeds into the cassette; keep an eye out for where the chain suddenly appears to be out of line with the in-gear sprocket. When you look closer at that chain-link, you will see that it is actually twisted. 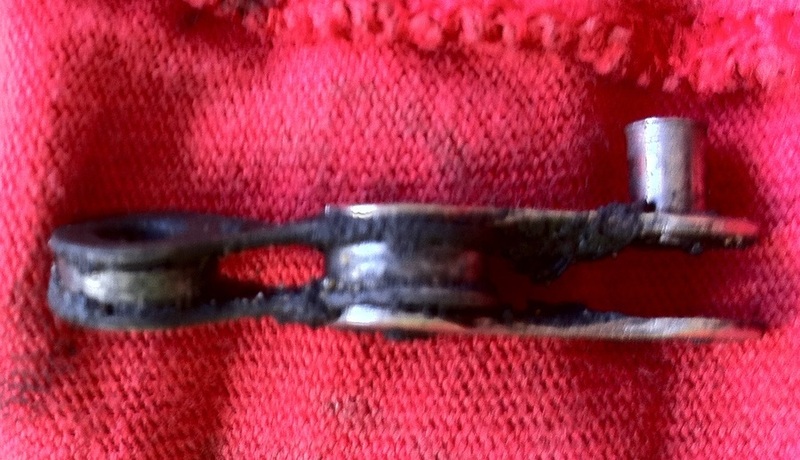 The chain-link in the photo had this issue, and was still rideable (but with the skipping symptom). The solution to this may be just to remove the bad link with a chain tool, if your chain is long enough to live without it. You could also try straightening the twisted link with a two pliers or adjustable spanners. However, chain metal isn't manufactured to react well to twisting, and you may struggle to straighten it anyway. The safest option, to be fair, is to replace the whole chain. Update: 2 days later... The chain actually snapped on me a couple of days later. I don't know if it was the link I'd untwisted or because of the link I'd removed, but it's probably not a good idea to perform any kind of surgery on a chain - unless you're desperate!